A young social activist has come up with a novel way to honour the Pulwama martyrs on the 20th anniversary of the Kargil War. CHANDIGARH: A young social activist has come up with a novel way to honour the Pulwama martyrs on the 20th anniversary of the Kargil War. Sanjeev Rana, a young social activist, has done the hard yards, walking to collect soil from Pulwama and Kargil, which he wishes to install in glass commemoration containers within temples and gurdwaras across seven states, so that people can recall their supreme sacrifice for the motherland. He hopes to reach at least 20 lakh people with his message. Rana recalls, “A few days ago, I went to pay my tributes to the 40 CRPF troopers killed in the militant attack at Pulwama, and I decided to take back the soil of that land for youngsters to use it to put a tilak on their forehead and pledge to safeguard their country. I collected 20 kg of soil, from both Pulwama and Kargil”. Rana has formed nine teams of 20 volunteers each in the states of Punjab, Haryana, Himachal Pradesh, Rajasthan, Chattisgarh, Uttar Pradesh and Madhya Pradesh to visit temples and gurdwaras, besides schools, colleges and residential societies, asking them to install the commemorative soil and involve youths in taking the pledge. “That is just a way to honour the memory of our fallen braves and remember that we stand united for our country,’’ says Rana. He said his mission started from the Bhadra Kali Mandir in Kurukshetra in Haryana. 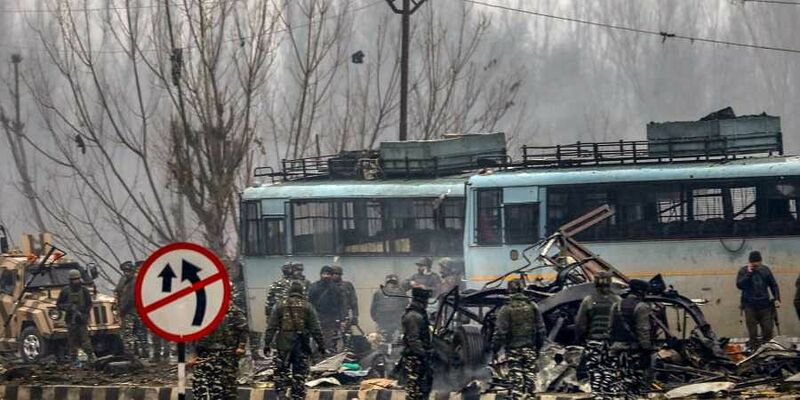 Rana said, when he paid his homage at the blast site near Srinagar, some locals were not happy and objected to it, but the security forces personnel defused the situation. Earlier, Rana had come up with another project—Ek Eeint Shahid Ke Naam (One Brick In the name of Martyrs)—to celebrate, honour and remember martyrs and heroes. Social activist Sanjeev Rana has collected 20 kg of soil from Kargil and Pulwama and wants to have it installed in temples and gurdwaras across seven states so that people can recall the supreme sacrifice made by security forces personnel for the country and take a pledge to safeguard the motherland.